Teeth Bleaching and Whitening: to ZOOM or not to ZOOM! Happy New Year! 2014 has arrived, and with it many of our ideals, goals, and aspirations are being pursued with fresh drive. We here at Vision Dental wish everyone the utmost success in their pursuits! No matter what time of year, patients always have questions about teeth bleaching: Does whitening soften my enamel? What works best? Are CREST White strips good? Is bleaching bad for my teeth? So let me give you some answers so you can feel confident starting the new year with a whiter smile. Teeth whitening and bleaching is one of the safest cosmetic procedures we do in dentistry. Teeth whitening is basically removing surface stains with mild abrasives to restore the tooth to its original color. “Whitening” toothpastes are slightly more abrasive (a little grittier) than your standard toothpaste. Bleaching is normally what people refer to when they refer to whitening and it’s the act of making a tooth whiter than its natural appearance. 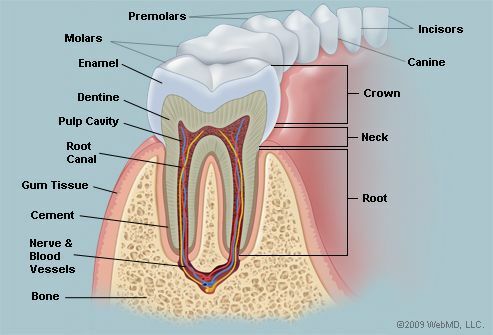 The science of it is highly reactive free radicals(the size of a single atom) penetrate and weave through the hard outer portion of the tooth(enamel) and react with colored elements embedded in the inner layer of the tooth(dentin) to neutralize the color. As we age, each tooth collects more internal stains and builds more dentin as the inner pulp shrinks giving the tooth a more yellow/grey appearance. That’s how it works, but is it safe? It’s safe. A study by Chase and Cohen published in the Journal of Endodontics evaluated bleached teeth that were then extracted(don’t worry, these teeth were being pulled for braces anyway.) They looked at the teeth at differing stages: after an hour of whitening, three days later, 15 days, and 30 days and determined histologically(microscopically at the cellular level) that bleaching was harmless to the pulp. There are some opposing studies done on animal models(dog and mice teeth instead of human teeth) that show that pulpal cells(odontoblasts) are temporarily effected and return to normal in 60 days but nothing has been shown like this in human teeth. What does bleaching do to the enamel? At the concentrations we use in dentistry (5%-38%), it doesn’t damage the enamel. There is no softening, stripping, or abnormal wear of the enamel associated with whitening. Haywood et al in the Quintessential International evaluated the effects on enamel with a 10% peroxide bleaching solution with different length applications. In all cases the enamel polish, and surface were unaffected. Polydorou et al evaluated microhardness of enamel after treating with 38% hydrogen peroxide(hp), 30%hp and Zoom2 25%hp and found no difference in microhardness(2008.) There has been a study showing that existing grooves become deeper with more bleaching, but this may be associated with dehydration, my next point: why am I sensitive? I would say about 45% of my patients have mild sensitivity towards the end of their whitening cycle, especially younger patients. 50% of my patients have no sensitivity, and the last 5% have more severe sensitivity. There’s a lot of research and theories as to why, but it’s my opinion that it lies with tooth dehydration. A large concentration of peroxides naturally dehydrate the teeth during bleaching and using a UV or LED light makes it much worse, causing even more sensitivity! This is why I personally don’t like Zoom whitening, not to mention the fact that it uses UV radiation. It can be safe if done correctly by properly trained personnel, but improper use can accelerate your chances for cataracts, sunburn, sensitivity, or even skin cancer. So please don’t get your Zoom whitening done at the mall, if you insist on that system. Simply put, the marketing that has been done has everyone believing Zoom or any light/heat based system is a better whitening system. While it is controversial, in my opinion, that’s simply not true, and there’s plenty of research to support it. Polydorou et al evaluated bleaching of In office bleaching systems vs Zoom and found there was no difference after teeth rehydrated. The researchers Leonard et al came to the same conclusions. Teeth will appear whiter when dehydrated(and more sensitive), so whitening systems that use UV light, heat, lasers, LED lights give a false initial whitening that takes ~5-7 days for the tooth to rehydrate and end up less white. This process is called rebound and naturally happens, but even more-so in light-based systems. When it comes down to it, the most important factor when bleaching teeth is time. Polydorou et al and Leonard et al , and most the research out there, are finding that stronger bleaching solutions bleach faster, but the same result can be achieved with lower strengths, up to a point of course. So what do I think of CREST White strips? They’re great! They may not get them as white as professional dental whitening but with enough time, your teeth will definitely look whiter! My only inhibition with CREST White strips is it’s not a controlled application of bleaching agent, so it is applied on exposed root surfaces, surrounding gums, and even swallowed. What can you do to obtain the best whitening result? Nothing beats whitening from your dentist in a staged approach. The approach that a lot of Dentists prefer and see the best results with is In-office whitening, followed by custom fit take home trays w/additional bleaching solution worn overnight for several days to weeks to achieve the desired whiteness. More complex cases or resistant staining may even require multiple in-office bleaching sessions. If onset of sensitivity begins, alternating placing MI Paste or a desensitizing solution (both obtained from your dentist) between bleaching treatments can provide relief. And you should know, bleaching whitens natural teeth only! Bleaching can not bleach old crowns, composites, or veneers. So be sure to be close to your desired tooth color before undergoing any major dental work on your front teeth. And not too soon either. Most research recommends waiting at least 2 weeks or more after bleaching to pursue any type of bonded procedure, such as: composite fillings, ceramic/porcelain onlays, ceramic crowns, and veneers. Otherwise this can affect the bond strength and longevity of your new dental work. Always contact your dentist before performing any bleaching or whitening(professional or over the counter) to be sure you’re free of cavities and/or gum disease. If you have any other questions or concerns feel free to post here or contact our office and I’d be glad to answer any questions. Have a great weekend! O. Polydorou, E. Hellwig, and P. Hahn (2008) The Efficacy of Three Different In-office Bleaching Systems and Their Effect on Enamel Microhardness. Operative Dentistry: September 2008, Vol. 33, No. 5, pp. 579-586. Haywood VB, Leech T, Heymann HO, Crumpler D, Bruggers K., Nightguard vital bleaching: effects on enamel surface texture and diffusion. Department of Prosthodontics, University of North Carolina, Chapel Hill 27599-7450. Leonard RH, Sharma A, Haywood VB. Use of different concentrations of carbamide peroxide for bleaching teeth: an in vitro study. Quintessence Int. 1998 Aug;29(8):503-7.